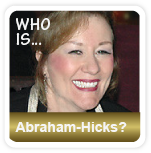 Healing with Crystals - What is Crystal Healing? Crystal healing refers to any medicinal practice in which a patient is treated using stones or crystals as healing instruments. It is considered an alternative medicinal procedure as it has no scientific basis and there are no scientific studies testifying to its efficacy as an approach. Even if it has no basis in science, the fact that people have experienced improved symptoms following the procedure designates how if nothing else, crystal healing is valuable for revealing the power of the placebo effect. There are many cultures around the world that have employed crystal healing in different manifestations; most notably, southwest Native American Indian tribes and indigenous Hawaiian populations have employed crystal healing techniques. In modern society, crystal healing is considered a New-Age technique. See examples of crystal healing stones for various health problems and needs below. Although the specific procedures vary from culture to another, healing with crystals typically involves placing crystals in strategic locations on the body—the practice can be thought of as a sort of ‘bodily feng shui.’ It is believed that the crystals transmit their healing powers through vibrating into the patient’s body. Crystal healing borrows from elements of Hindu culture as it incorporates the concept of the chakra, or the location(s) on the body that are susceptible to receiving energy from external sources. The various methodologies are very cryptic, although a common one involves placing the crystals on the chakras. It is believed that the color of the crystal should match the color of the chakra. The different colors are said to possess differing vibration magnitude, and the colors involved include yellow, blue, red, green, orange, indigo, and violet. 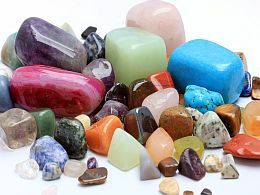 Other, more simple advocates of crystal healing state simply that every rock possesses different healing capabilities and that people should merely select the rocks that they like the appearance of the most. Others contend that it is wisest to simply select a number of rocks and experiment with which are most successful in supplying energy. Alternative crystal hearing methods can incorporate additional devices that are said to stimulate vibration such as wands, or necklaces. Crystal healing stones are often used to heal the body, mind and spirit. One healing stone can be used for many different needs and health problems, or can be used to enhance positive energy, or decrease negative energy.However, before you even think about using crystals for healing, it’s important to cleanse and re-charge them. After buying your crystal healing stones, it’s important to cleanse them of unwanted vibrations and energies from people handling the crystals at the mining, packing, transportation, and in the shop. Use salt water bath for crystals that are able to take salt, since salt removes negative energies. Let the healing stones soak in a plastic bowl filled with water sea salt for at least 7 hours, but no more than a week, depending on how the healing stone has been used. However, salt water can damage the surface on some crystals, so use only a smudge for those. To re-charge your crystal healing stones, place the healing stones outdoors or by the window so that they can absorb the sunlight that is filled with positive energy. A couple of hours in the sun, once a week, should be enough for most healing stones. You could also activate the crystal healing stones through different initiation ritual, by holding it, washing it, gazing at it etc. What is Crystal Healing used for? Crystal healing has canonically been used for supplying the patient with needed energy; in this regard, it can be used for people who have been wounded, people who are anemic, or those who have been without nourishment over an extended period of time. 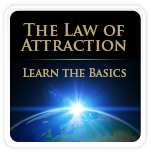 Because there is no scientific justification for crystal healing, it is imperative that those who choose to use the practice subscribe to its validity as a procedure, since its benefits are inevitably a figment of the patient’s imagination. Crystal healing is said to supply the body with energy. However, there no evidence actually proving that crystal healing has any scientific basis and benefits of the procedure are basically whatever the patient wants them to be. The scientific consensus is that the procedure is nothing more than a placebo effect, and crystal healing has drawn the ire of multiple organizations, including the Roman Catholic Church. Below is a list on useful crystal healing stones for various health problems and needs.